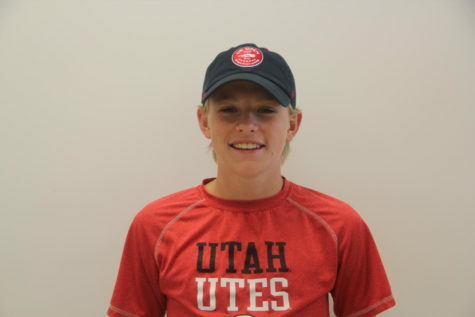 Will Olsen is junior at Highland high school. He writes for the Highland Rambler and this is his first year. Olsen has gone to Highland since freshman year and is involved in many things throughout the school. Olsen works hard in school and gets good grades. In Olsen’s free time he loves to play sports. He has developed this love for sports because of his family. He has three brothers and one sister and they are all extremely competitive. This has brought a hard working atmosphere to his life to always be the best and always want to win. He runs cross country and plays tennis for Highland. Olsen plays only two sports for Highland but he grew up with any kind of ball in his hand. Olsen wants to go to college, he wants to get an undergraduate degree and go on to law school at a prestigious school. Olsen wants to become a lawyer but is not sure what kind yet. Olsen wants to have a family with a wife and three kids and live in Utah or somewhere near the ocean.